So it talks a big game, but does it deliver? 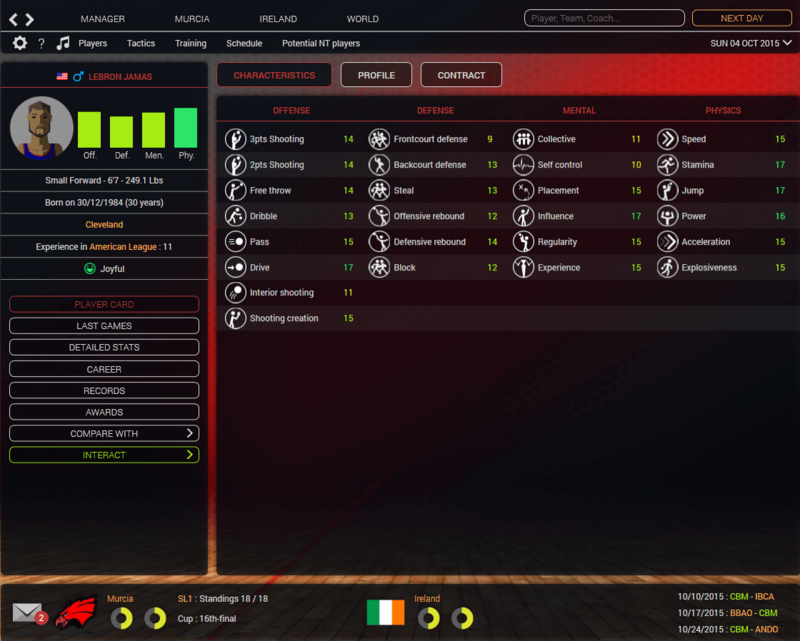 Pro Basketball Manager 2016 (PBM2016) reminds me of a pro prospect whose raw abilities are promising, but still are not fully polished. It certainly has flashes of brilliance, and its future could be really bright, but the question is: Do you want to take a chance on it now? But before we get ahead of ourselves, let me introduce you to the game. 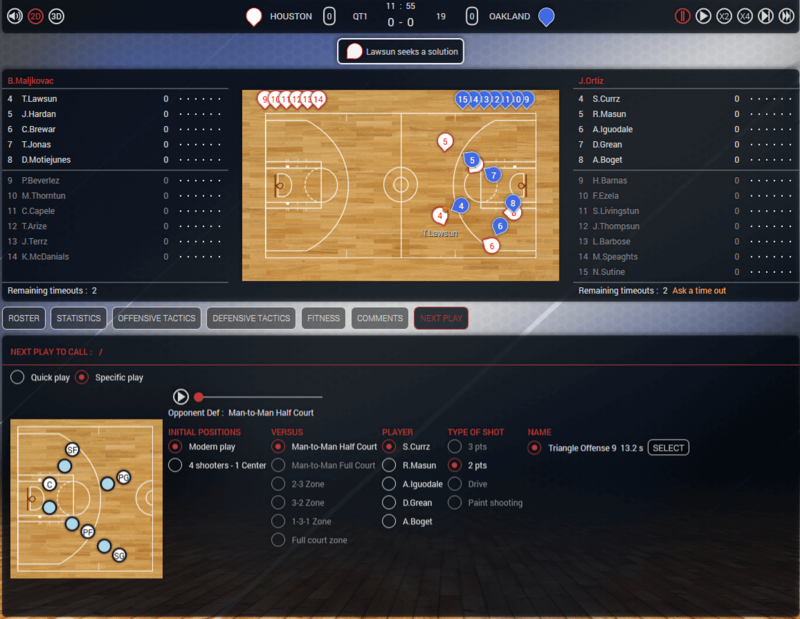 PBM2016 is the latest professional basketball simulator (formerly named “Basketball Pro Management”) developed by Umix Studios / Cynaide and published by Cyanide games. 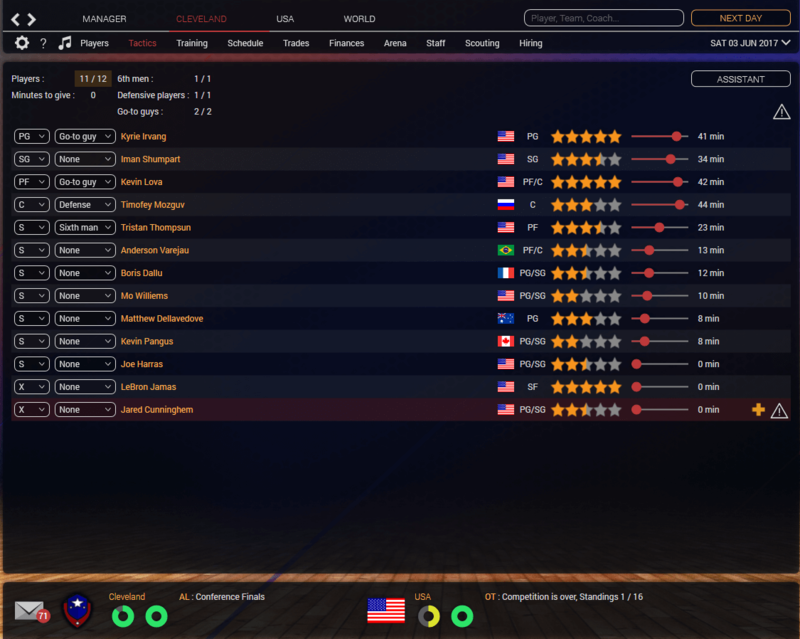 PBM2016 is a global basketball simulator allowing you to manage in more than 70 world competitions, including national competitions such as the Olympics. So it talks a big game, but does it deliver? Let’s find out. When you first fire up the game, PBM2016’s user interface seems so clean, crisp and inviting. But after a while, you come to realize not everything is totally in order. For starters, the user interface is plagued with some basic polish issues. Words can be mis-spelled or oddly translated into English (Cyanide & Umix are French game studios). The interface also doesn’t feel very streamlined. It often feels like it takes a few too many clicks to get to the information you want (i.e. statistics for the league; list of free agents), because it is often buried in some sub-menu. Interestingly, PBM2016 does come equipped with an in-game music player, and even allows you to play your own music from within the game. However, I found the game’s pre-packaged music to be average at best and annoying at worst. I often just turned it off, and played my own music online. Now, if it sounds like the game’s user interface & graphics is a complete failure, think again. 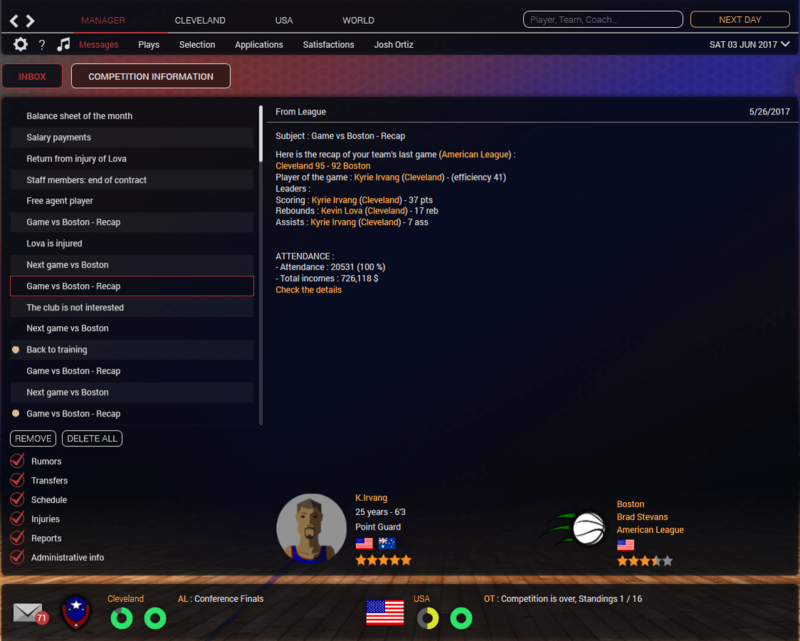 Although its user interface can be a bit clunky and unpolished at times, the game does a fine job with aspects like player cards, the training page and the in-game experience. Player cards and the training page use colors and graphs (and colored graphs!) to share the pertinent information in an interesting way. And the in-game experience allows you to watch in either 2D or 3D while also giving you a nice bevy of statistical information to help you make the best decisions possible during the course of the game. Although I was not able to get the 3D animations to work on my computer, from what you can view online, PBM2016’s 3D animations appear pretty rudimentary, even compared to the likes of Football Manager, but they’re a nice change of pace to watching little circles run around on the screen. When you dig into it, PBM2016 definitely gives you some creative freedom. When starting a new game, the game allows you to create a custom team – though you will need to replace a current team in the game. So, if you’d like to add a WNBA franchise to Milwaukee or another NBA to Los Angeles (Why not? ), you’re free to do so. Also, your created team can be either be filled with fictional players that match the current level of competition or you can start more barebones with an empty roster and grab some free agents. Also, while the game doesn’t come with real player or team names (i.e. Stephen Curry is Stephen Currz or Lebron James is LeBron Jamas), PBM2016 does ship with a very robust and easy to use data editor. You can tweak everything from team names & logos to player attributes and even their affinities with other people in the game world. 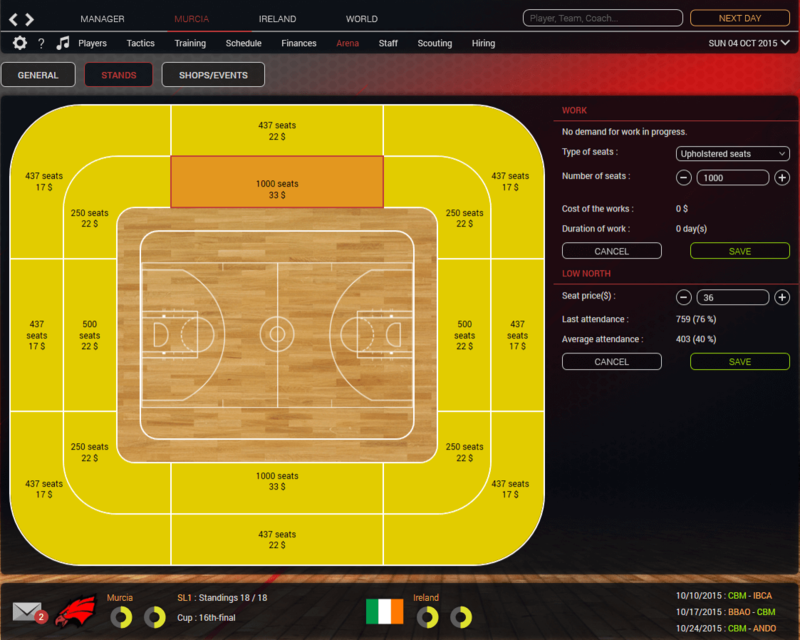 You can also adjust league rules such as whether teams can be promoted or relegated, how many foreign players are authorized in the league, the length of quarters and even the distance that the 3pt line is. You can also create your own fictional competition with real or fictional teams of your choosing. However, I did have some quibbles with game’s customization options. For instance, when going the fictional player route for creating a new team, I found that after creating a new fictional franchise to replace Sacramento (sorry, Kings’ fans! ), the game only placed 5 athletes on my team who were all being paid about $29,000 per year. Seems like a bit of work should be done to make the fictional teams more realistic starting out. 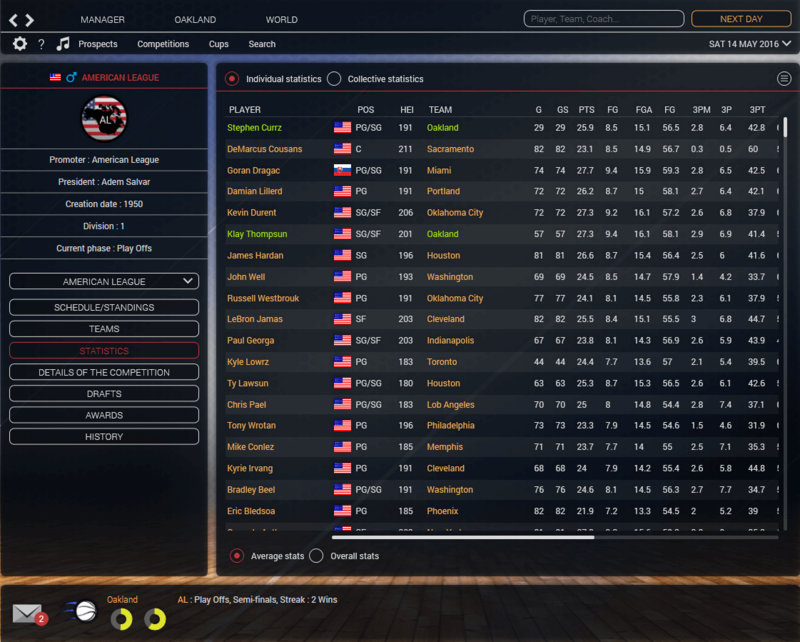 Also, I wish the game would have allowed me to easily quick-sim a few seasons to provide good statistical base for a fictional league if I chose to create one. Finally, I wish the game would allow you some more historical flexibility – by allowing you to start a career in 1962 or 1988 or 2011 (or whatever you prefer). However, at this point, the game only comes equipped with modern rosters and league formats (which can be edited). All in all, quibbles aside, PBM2016 is a very customizable game and gives you plenty of flexibility to adjust the game to your liking. Like its user interface, PBM2016’s gameplay & sim engine is really a mixed bag. Let me begin with it does well, and then comment on a few areas of concern. In terms of what it does well, the game does a good job right off the bat trying to help you understand its systems. While the game’s manual is fairly barebones, the game ships with a simple and often insightful tutorial that uses pop-up screens to explain basic concepts as you first navigate to different parts of the game. For a first-timer to the game or even a new-comer to text-sims, I found this feature to be refreshing. I wish more text-sims did this. I also enjoyed the scouting system in the game. Because I typically like to manage in the NBA, I enjoyed being able to send my scouts to different parts of the world and hopefully discover some raw talent overseas. It made it feel like I was managing in a big basketball universe, rather than just narrowly focusing on what is happening in the NBA. This sense of managing in a big basketball universe was also aided by the fact that you can not only coach local teams, but also international teams. Want to assemble the next Dream Team … for Germany? Go ahead and try! PBM2016 gives you that option. Also, another nice aspect of managing a team in PBM2016 is the option to manage not just the players, but also your team’s arena. Want to up the price on soda to $4 a pop, you can do that. Want to have amateur mascot instead of a professional one? You can do that, too. The game even allows you to renovate your stadium by building or updating your seating. Who doesn’t like to sit on upholstered seats instead of cold benches? All of these arena management choices are in PBM2016. However, sadly, the game doesn’t appear to have any way to delegate these choices if you’d rather not fiddle with them. When it came to managing players, I generally appreciated the way PBM2016 handled both training and contract negotiations. In terms of training, PBM2016 assigns each player on your team a “Freshness” rating, a “Fitness” rating and a “Mood” rating based upon whether they appreciate the current training regime or not. While the game could you use some better explanations of these concepts and what affects/improves them, eventually through some trial & error, I got a better feel for how these ratings worked. It was also realistic that while players coming off injury might be fresh and ready to play, their fitness level is going to need some on-going attention, lest they re-injure themselves quickly. Also, in terms of training, PBM2016 not only allows you to adjust the amount of individual and team training you do, but also allows you to train specific players in specific areas or for other positions. Want Klay Thompson to focus on being an outside defender or really work on his free throws? Just a make few clicks and then wait to see how he develops. Thankfully, if you don’t want to mess with all of this, a good bit of the training can be delegated. Another aspect of the gameplay I enjoyed was the way the game handled contract negotiations. PBM2016 forces you to consider both the attractiveness of the offer to the player, but also of your team to the player. In fact, the game instructs you that everything from salary to duration of contact to status and playing time can factor into a player’s decision. I also appreciated being able to give playing time promises and even, in one international league I managed in, being able to offer to pay for a car or accommodation to woo the player to join your team. One last highlight of the gameplay that I will point is the in-game coaching options. During the course of a coaching a game, you’re able to call set plays or quick plays. For set plays, the game comes pre-packaged with a bunch of different plays to run depending upon the defense you’re facing, the player you are trying to get the ball to and the type of shot you’d like to get. PBM2016 even allows you to easily create your own plays outside of coaching a game, though I found it hard to know how to access my created plays in-game. Now, if you’d rather not mess with set play, but run more of a free-flow offense, you can also call quick plays to make sure a particular player gets a particular kind of shot (3pt, 2pt, paint shooting, drive). The level of control the game gives you while coaching is impressive – not perfect, but impressive, nonetheless. But sadly, PBM2016’s gameplay and sim engine is not all roses. There are a number of areas of concern. First, PBM2016 suffers from some stability issues. There were a number of times when the game crashed, particularly when you want to coach an actual game. It’s not every time, but you’ll definitely want to save frequently in this game. On a more pressing note, PBM2016 struggles to realistically represent some of the more unique aspects of basketball in the United States. For instance, when it comes to the NBA, the NBA D-league is nowhere present. Also, the NBA All-Star Game is also glaringly missing. And the NBA Draft is about as boring as they come both in terms of presentation, but also because it doesn’t even allow you to make trades to move your way up/down the board. It was also a bit disconcerting to learn that most, if not all, league transactions (i.e. free agents, trades) seem to take place in the summer and not during the season. This really takes away from feeling that the big basketball universe that you are managing in is truly alive and competitive. The NCAA is present in the game and you can even recruit prospects, but after simming a season or two and seeing teams like Alabama State and CSU Bakersfield win the NCAA title, you quickly get the sense that this is not a totally faithful representation of college ball. All in all, it feels like PBM2016 represents the NCAA as more of a large, rather uninspired junior league which the NBA draws some of its players from. Now, all this could be forgiven if the statistical engine was realistic and reliable, but sadly, at this point, it appears PBM2016’s stat engine has a few chinks in its armor, too. For instance, one glaring issue that you’ll notice is the prolific scoring numbers in the game. In one season I simmed, while the highest scoring average for the league was on point with the modern NBA, PBM2016 had almost 45+ different players averaging over 20 pts per game while in the 2014-15 NBA season only around 20 players averaged 20+ points per game. Also, statistical categories like steals and blocks seem to be a bit higher than you would find in a regular NBA season. Finally, one last issue with PBM2016’s gameplay is the lack of interesting tactical options if you chose to not actually coach every individual game. Besides setting depth charts and adjusting player training, the game doesn’t allow you much tactical freedom to shape how your team actually plays on the court. You cannot choose what kinds of offensive sets or defensive sets you prefer or how fast you want your offense to run unless you actually choose to coach each game. Also, while you can set player responsibilities (i.e. Go-to-Guy) under your “Tactics,” it’s not always clear what impact some of these options actually make (i..e “Sixth Man” or “Defense”). The game could use some more fleshing out in these areas and could provide more interesting tactical options to the player who just wants to be a general manager and not a coach. Currently, PBM2016 doesn’t offer any online modes. So, if you like to play multiplayer, this will not be your game. 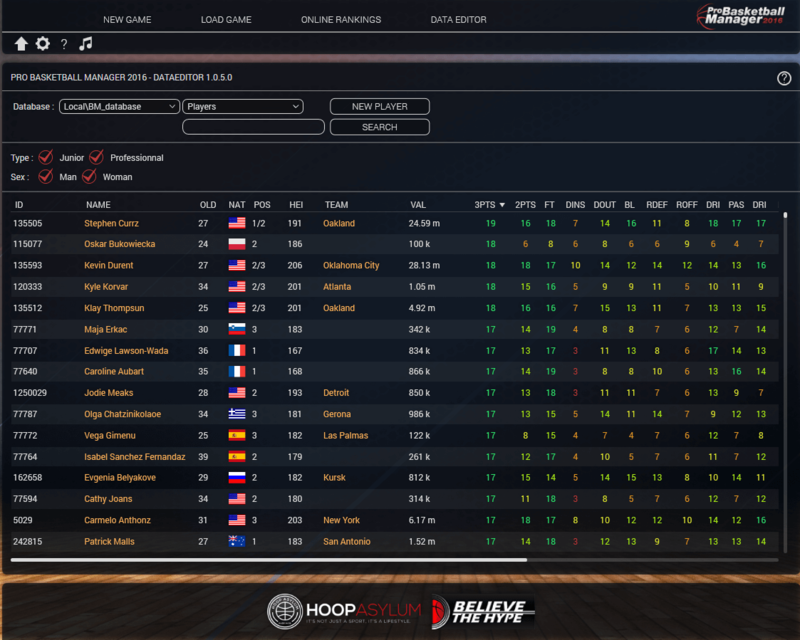 The only online related option this game contains is an online ranking system which allows you to see how you compare to other PBM2016’s player both in your own country and around the world. The manual does note that the rankings take several factors into account, such as your unlocked achievements, the number of competitions won, the number of games won, whether the game was coached or simulated, the level of competition, etc. Now, this sounds good in theory, but once you start clicking around to see where you fall in the rankings you quickly realize that you cannot explore some of the inner workings of what goes into your current rating score or the rating score of any other player in the world. All you see is a number (i.e. 4714) attached to a username. This lack of transparency and statistical detail makes it a lot less interesting. 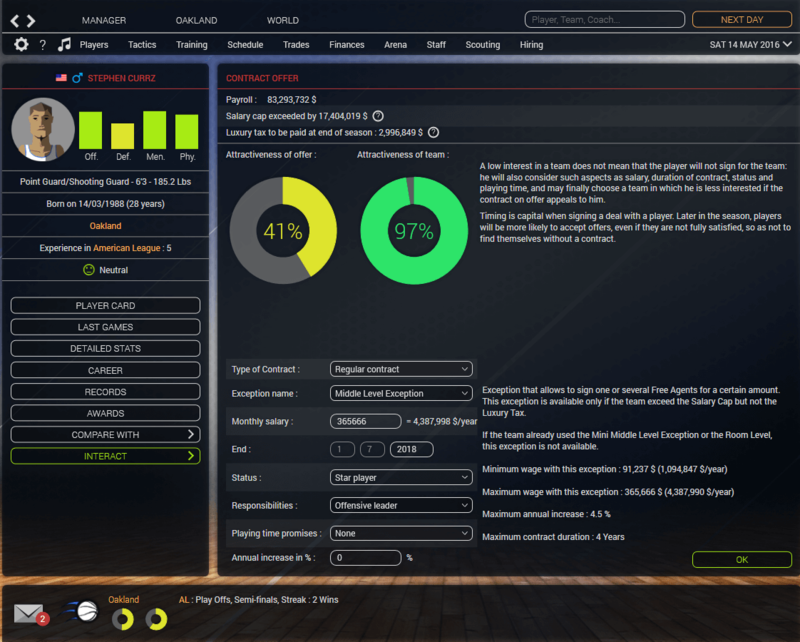 I started off the review saying that Pro Basketball Manager 2016 (PBM2016) reminds me of a pro prospect whose raw abilities are promising, but still are not fully polished. While it certainly has flashes of brilliance, and its future could be really bright, the question remains: Do you want to take a chance on it now? Personally, while I really wanted to like this game, I found that PBM2016 failed to sufficiently immerse me into its simulated basketball universe. Due its lack of polish, its inability to realistically simulate the NBA and its overall clunkiness, I found myself wanting to play it less and less. This is not to say that this game won’t become something more in the future, but right now, PBM2016 wouldn’t be a top prospect on my text-sim draft board. Amazedbygrace86 enjoys sports, videogames and writing. His first love is basketball, but he also thoroughly enjoys football, tennis, baseball and soccer. He's a long-time fan of the Ohio State Buckeyes, Dayton Flyers and New York Yankees. He's blessed to be the husband of a wonderful wife and father to an amazing son.